Andrew Ricketts' "Walter Lindrum - Billiards Phenomenon" is the definitive biography of Lindrum's life. 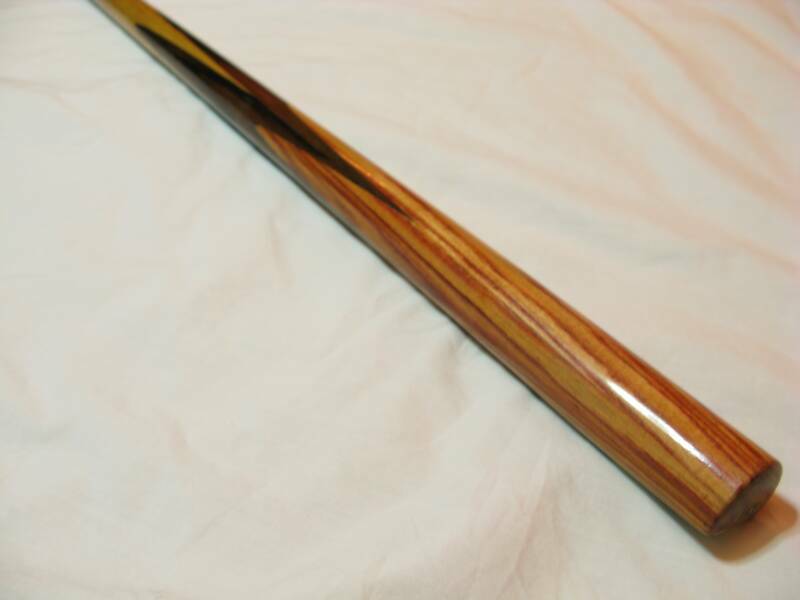 Originally published in 1982, "Billiards Phenomonen" was meticulously researched and is extremely well-written. 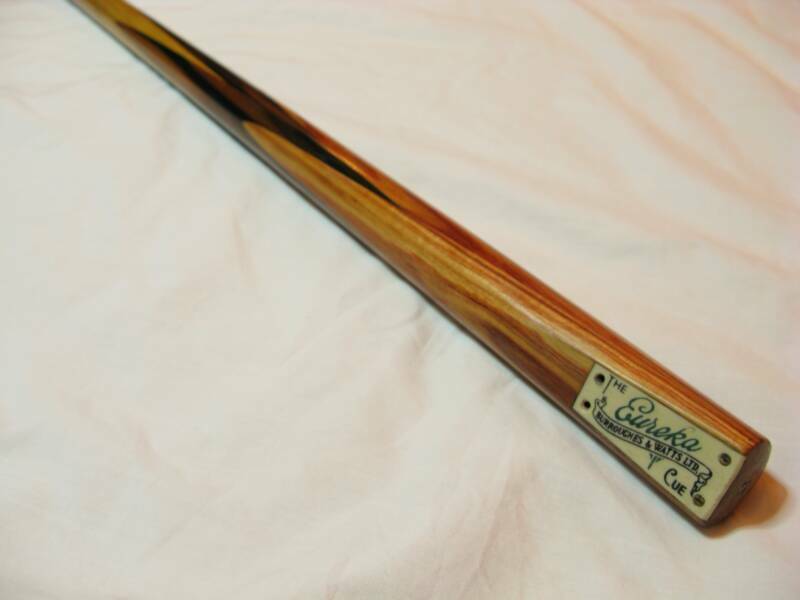 It is a wonderful read that contains many interesting anecdotes about billiards at the time and reveals Lindrum's character in a unique and insightful way. A special leather bound edition was issued in a limited run of 200 copies only, each signed personally by Andrew Ricketts. A few of these remain unsold. You can purchase a limited edition copy of "Billiards Phenomenon", for a very reasonable price, by contacting Andrew directly at the e-mail address shown above. 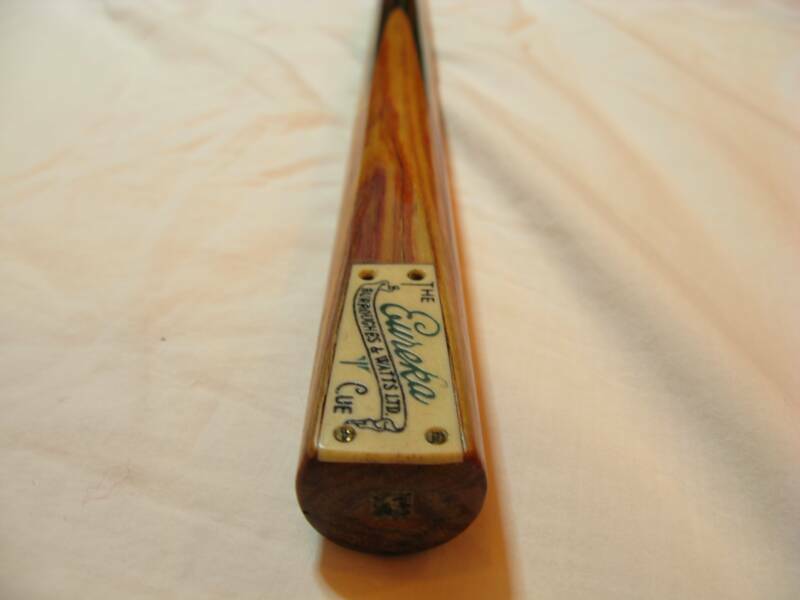 This is a Burroughes & Watts Eureka Cue, made by Tony Ions. 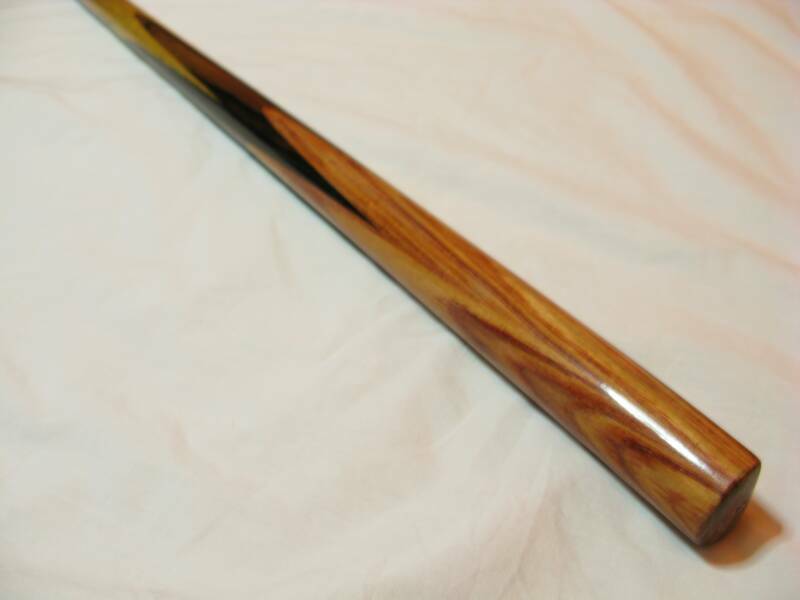 It is a double-butted cue with four macassar ebony splices over four tulipwood splices. 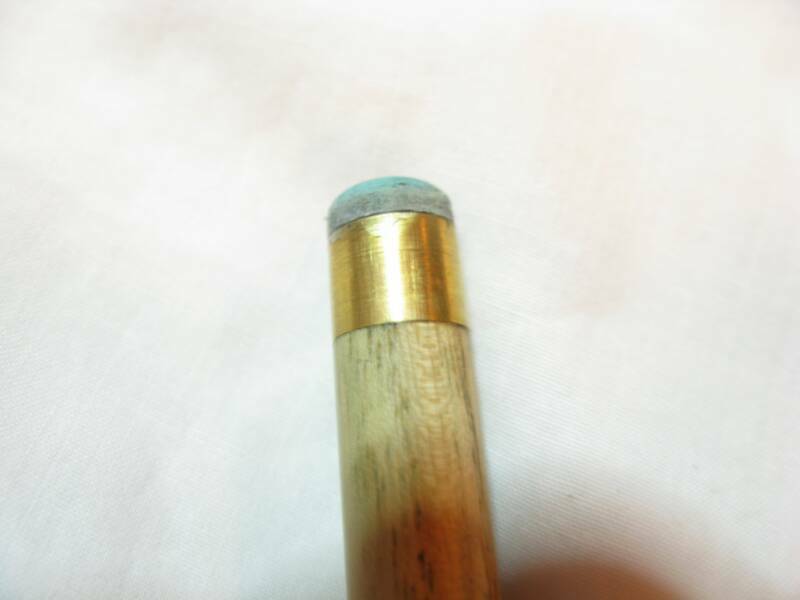 The cue is generally in good condition although two screws are missing from the badge. You can order one of these today from Tony and you will pay about the same as the asking price. The problem is that, as Tony is in great demand, you will probably have to wait at the end of the line for some months before you see it. 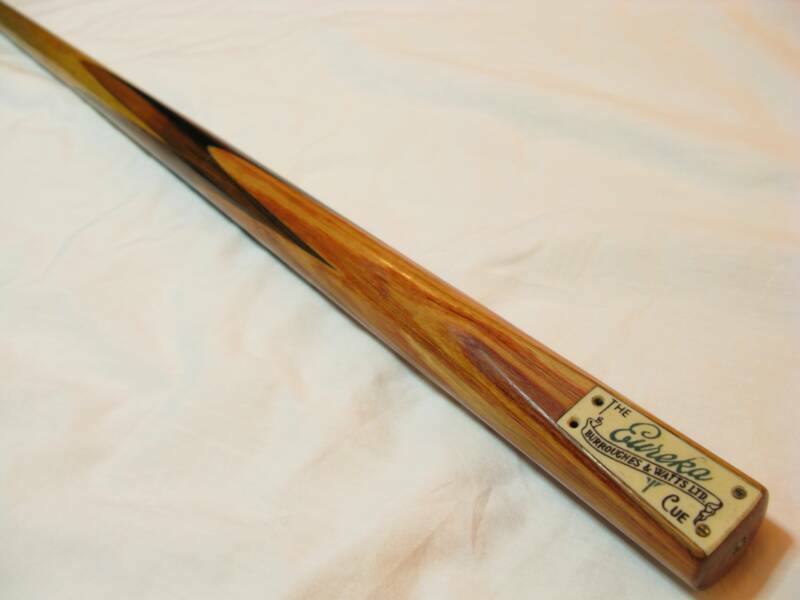 "The Cue Collector's Guide" is a 64-page e-book which is delivered in PDF format. 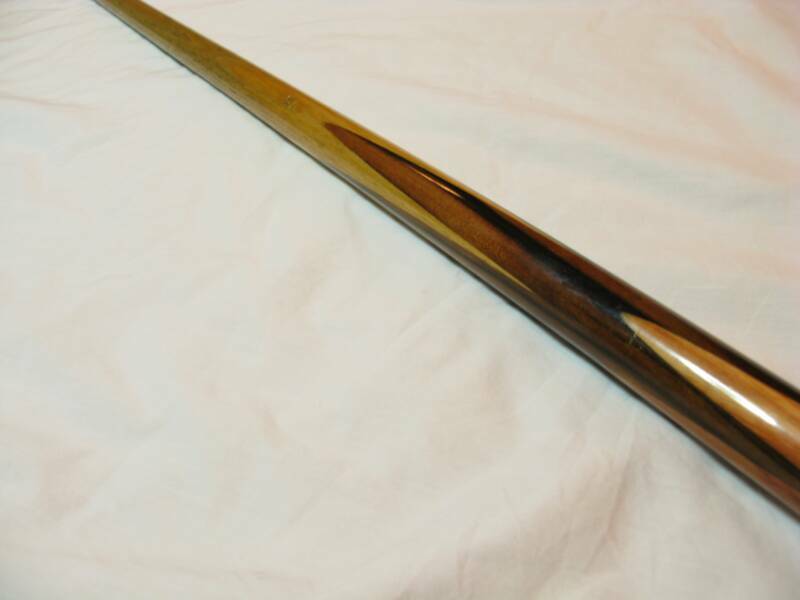 It is an invaluable resource for any one who is interested in antique billiards and snooker cues made in the British Empire during the period from 1867 to 1967. (h) if applicable, the most common price. 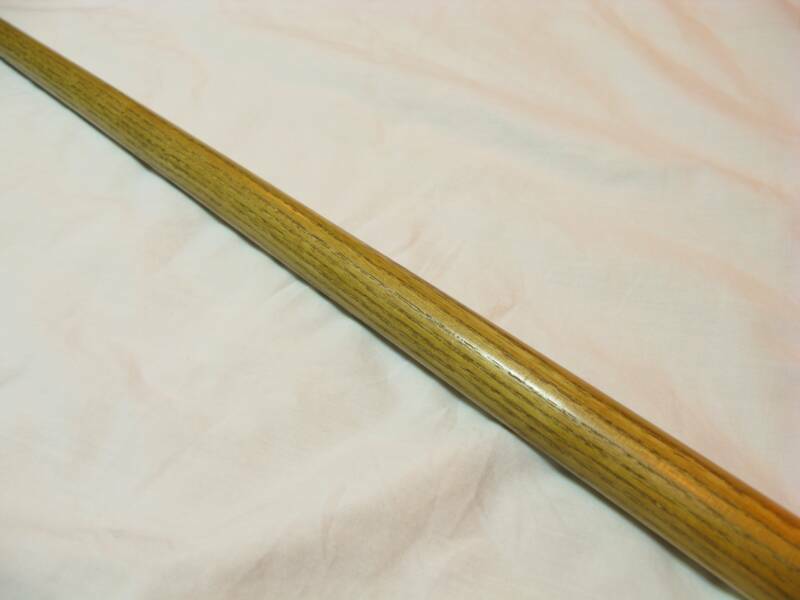 The Cue Collector's Guide is based on the results of thousands of auctions and contains prices for hundreds of types of antique or collectable cues. 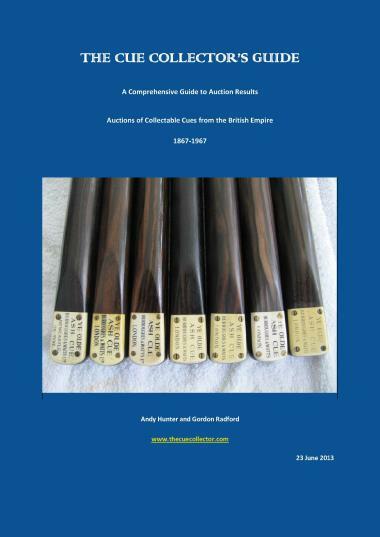 It will become the definitive reference book for valuing antique cues made in the British Empire. It has taken 8 years to compile The Cue Collector's Guide. It costs just 20GBP and is delivered as a PDF document to your e-mail address. "...it's evident to me just how much effort has gone into compiling the source." 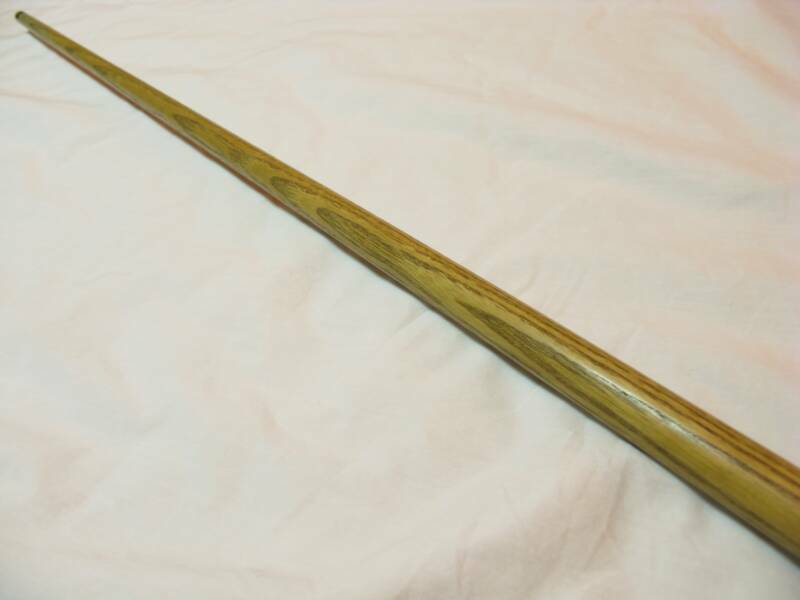 "Great service and a very useful item, many thanks, would highly recommend." 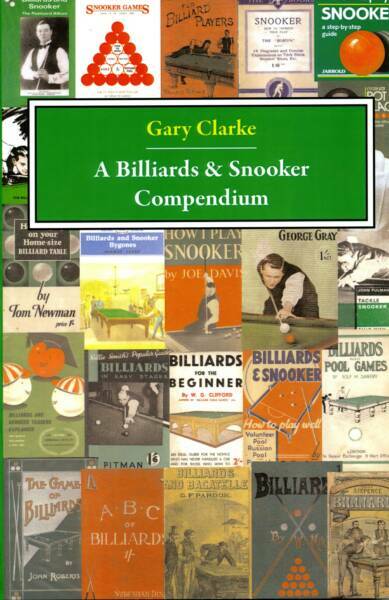 Gary Clarke has done billiards and snooker collectors an immense service with his recently published "A Billiards & Snooker Compendium" (released June 2008). This marvellous book of 275 pages contains bibliographical information on over 650 billiards and snooker books. It has a detailed description of each book's content, tips on identifying different editions, notes on scarce dustjackets and estimated values for first editions. This is an essential reference book that will appeal to all collectors of billiards and snooker memorabilia. It is sure to become an essential reference point for all collectors. The book retails for around 20GBP and I highly recommend it.